These photographs show two of the telephone systems as they were installed at Menninger Clinic. Three show the massive wiring and the switchboard operators at the 'Telephone Cutover' in March 1967. 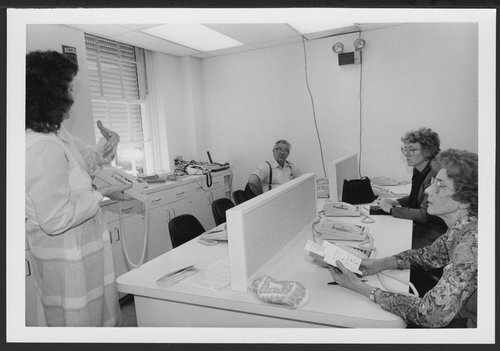 In November 1987, a new ROLM system was installed and the photograph shows training for employees.